The title of Fiesta of International Tourist Interest is an honorary distinction of being given in Spain by the General Secretariat of Tourism of the Ministry of Industry, Tourism and Trade of the Government of Spain, granted to the fiestas or events involving manifestations of cultural and popular tradition, with particular regard to their ethnic characteristics and special importance as tourist attractions. This honorary title is held by 30 fiestas in Spain. Antiquity of the celebration and continuity over time (at least should be held each five years). Popular roots and participation, especially value the existence of associations that support it. Originality, diversity that are relevant in terms of promoting tourism of Spain abroad. Impact on international media, at least ten performances in one or more foreign media. Possess the declaration of National Tourist Interest for at least five years. That its development involve no mistreatment of people or animals, and care for the city, architecture and landscape. Existence in the town or within 50 km of suitable accommodation and tourist services. Full Town Council agreement and a favorable report from the Autonomous Community. ↑ "BOE.es - Documento BOE-A-2006-10081". boe.es. Retrieved 13 March 2016. ↑ A. A. 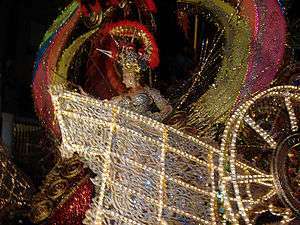 "The Carnival of Tenerife". tenerife-abc.com. Retrieved 13 March 2016. ↑ "aytosanlucar.org - This website is for sale! - aytosanlucar Resources and Information. | Horse racing of Sanlúcar". aytosanlucar.org. Retrieved 13 March 2016. ↑ "Información sobre Asturias | = El Descenso Internacional del Sella". desdeasturias.com. Retrieved 13 March 2016. ↑ "laverdad.es - Diario de Murcia, noticias de la Región de Murcia. 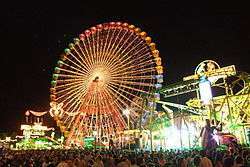 La Verdad | The Feria de Albacete already is of International Tourism Interest". laverdad.es. Retrieved 13 March 2016. ↑ "Festival Internacional del Cante de las Minas of La Unión". regmurcia.com. Retrieved 13 March 2016. ↑ "Fiestas of Spring". murciaciudad.com. Retrieved 13 March 2016. ↑ "Turismo en Soria: Qué visitar en Soria - Dime Hoteles". dimehoteles.com. Retrieved 13 March 2016. ↑ ". : Les Fogueres de Sant Joan :: Web Oficial de la Federación :.". hogueras.org. Retrieved 13 March 2016. ↑ "Turismo Caravaca - Oficina de Turismo de Caravaca de la Cruz | Fiestas patronales de la Santísima y Vera Cruz de Caravaca". turismocaravaca.org. Retrieved 13 March 2016. ↑ "Fiesta de Moros y Cristianos de Villajoyosa - Desembarco - Alicante | Villajoyosa landing". desembarco.com. Retrieved 13 March 2016. ↑ "Palm Sunday in Elx". web.archive.org. Retrieved 14 March 2016. 1 2 BOE núm. 276 of November 18, 2002. ↑ "Region de Murcia Digital - Semana Santa - Semana Santa de Cartagena | The Holy Week of Cartagena". regmurcia.com. Retrieved 13 March 2016. ↑ "More than 15,000 drums celebrate the Holy Week in Hellin". diariocritico.com. Retrieved 13 March 2016. ↑ "Junta Mayor de Cofradías | The Holy Week of León". semanasantaleon.org. Retrieved 13 March 2016. ↑ http://joanballester.es. 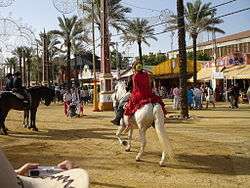 "Turismo declara la Semana Santa de Lorca Fiesta de Interés Turístico Internacional | Turismo y Economía | Tourism declares the Holy Week of Lorca Fiesta of International Tourist Interest". hosteltur.com. Retrieved 13 March 2016. ↑ "Empresas Andalucia | Holy Week in Málaga". empresasandalucia.com. Retrieved 13 March 2016. ↑ "The Holy Week of Rioseco, declared fiesta de Interés Turístico Internacional". nortecastilla.es. Retrieved 13 March 2016. ↑ "RESOLUTION dated March 14, 2003, the General Secretariat of Tourism, by granting the title of "Fiesta of International Touristic Interest" to the Holy Week of Salamanca.". boe.es. Retrieved 13 March 2016. ↑ "Visitar Sevilla en Semana Santa | Visit Seville in Holy Week". cosasdeviajes.es. Retrieved 13 March 2016. ↑ "La Semana Santa de Granada, declarada 'Fiesta de interés turístico internacional'". europapress.es. Retrieved 13 March 2016. ↑ "Semana Santa de Zamora | The Holy Week of Zamora, with international prestige". canales.nortecastilla.es. Retrieved 13 March 2016. ↑ Grupo El Correo Gallego. "The Corpus Christi of Ponteareas achieved the declaration of Fiesta of International Tourism Interest". elcorreogallego.es. Retrieved 13 March 2016. 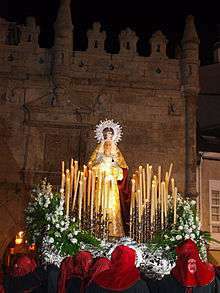 ↑ "The Holy Week of Orihuela is declared Fiesta of International Tourism Interest". orihueladigital.es. Retrieved 13 March 2016. ↑ "Viveiro celebra que su Semana Santa sea de Interés Turístico Internacional" (in Spanish). La Región. Retrieved 18 April 2013. ORDER ITC/1763/2006, May 3, by this it regulates the declaration of national and international tourist interest. 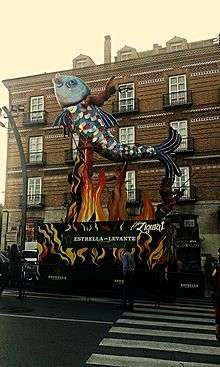 Local fiestas of Spain of International Tourist Interest (lay) Calendar formats iCalendar. Local fiestas of Spain of International Tourist Interest (religious) Calendar formats iCalendar.